Señor Mex says: This article perfectly captures the reasons that vehicle travel can enhance your expedition into Tijuana. While there are plenty of touristy spots close to the border, there are some great local places to explore if you can move a little beyond the flair of the crossing area. Try upscale Mexican fare while you shop at the well-known Sanborns. Rub elbows with the locals as you check out the fresh fruits and vegetables at Mercado Hidalgo. Blend in with the crowd while checking out electronics, perfumes, clothing and more at Plaza Agua Caliente. Just make sure that you have your Mexican Insurance Store.com Mexican auto insurance policy documents handy as you travel so that you can be sure of comprehensive Mexican Insurance Store.com coverage as you explore. One of the fun things about exploring Tijuana commercial zones is that there is a lot of authentic flair, and you always want to be covered adequately as you drive while in the country. As long as you are exploring the commercial district of the city, think about taking time to venture just a little further down the coast to Rosarito, another spot for excellent deals. Do you buy your Mexican auto insurance from popular providers such as Mexican Insurance Store.com online? 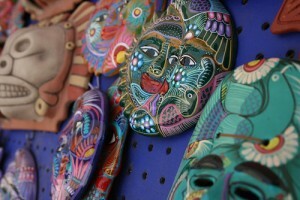 Learn more about The Best Tijuana Shopping Ideas The Best Tijuana Shopping Ideas. You can never claim to have explored Mexico’s best tourist spots without having self-driven to Tijuana. Here is where you can spoil yourself with shopping extravaganza. Having Mexican auto insurance, you can safely drive yourself from mall to mall as you explore the best of your shopping experience.